The blue-hulled MCY 96 from Italian builder Monte Carlo Yachts will be the largest, must-see yacht on display at the seventh Ocean Marina Pattaya Boat Show. Organisers expect about 20 yachts in water, ranging from about 20ft in length to the iconic blue-hulled MCY 96, which is the third hull of Monte Carlo Yachts’ newest model, a yacht that was unveiled for a select audience – including YACHT STYLE – in Venice in the summer of 2017. The MCY 96 will be shown as part of Simpson Marine’s display, which will also include an Aquila 44 power catamaran from China, plus a Lagoon 44 sailing catamaran and a Beneteau Oceanis 38.1 sailing yacht from France’s Beneteau Group. Simpson Marine, Asia’s largest yachting dealership, has represented Beneteau yachts since 1986, while it only started handling Aquila at the beginning of 2018. 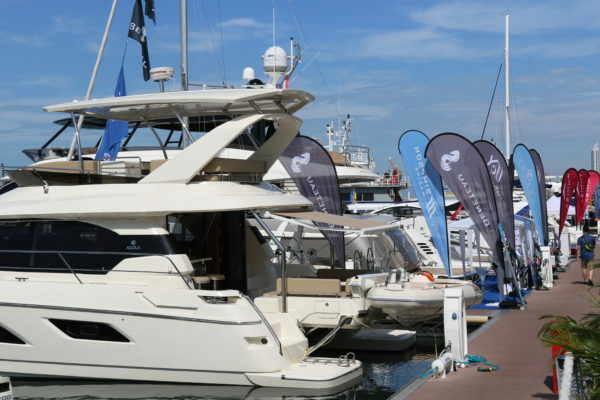 Boat Lagoon Yachting, another regional powerhouse, will also be out in force, showing a Princess 68 from the UK, a Riviera 47 from Australia and the French-built Jeanneau NC 33, a model only launched at last year’s Cannes Yachting Festival. 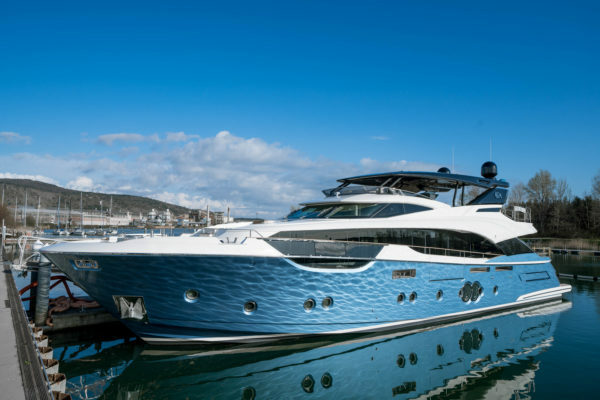 The Azimut Yachts dealer for Thailand, MGC Marine, will exhibit an Azimut 66 from the Italian yard’s Flybridge range and a Magellano 43, while Island Spirit and local builder Pan Pacific are also among in-water exhibitors. Over 30 yacht brands will be represented at the show, which will also feature trailerable yachts on land. 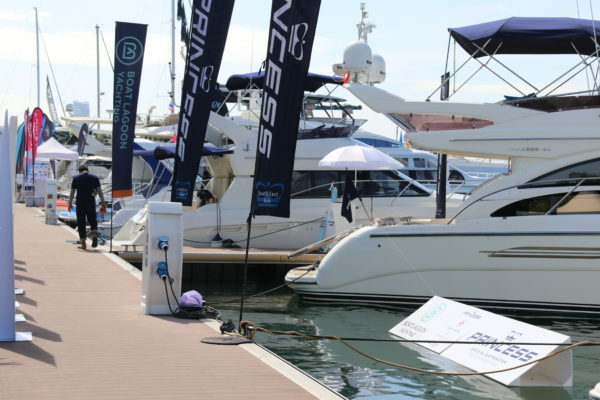 The show prides itself on its variety and offers sail and motor yachts, monohulls and catamarans, international and local builders, as well as charter opportunities, while the Demo Platform is a popular place to watch the in-water displays including jet surf demos. The world-famous Cafe Del Mar newly opened Pattaya outlet will be partnering the show this year by sponsoring the exclusive invitation-only networking party on a Friday. 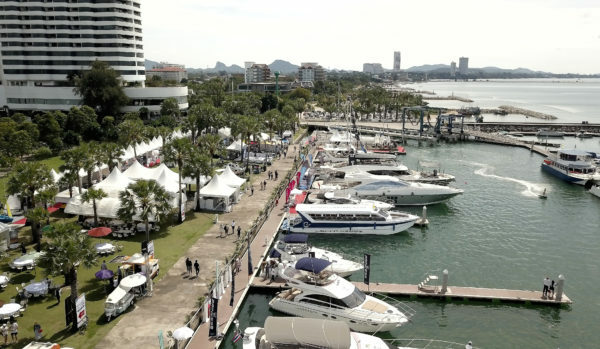 The show is primarily outdoor, with individual tents for onshore displays overlooking the marina, creating an ambient setting on the lawn where visitors can view marine toys and accessories, coastal properties, home products and technology, and outdoor furniture. The outdoor beer garden is a popular place to relax and with more than 15 food and beverage pop-ups, plus the Ocean Marina Yacht Club itself, there are plenty of options to wine and dine, while the early-evening sunsets provide a picture-perfect backdrop. The show will feature live entertainment every day, with Brit veteran Barry Upton – co-creator of the popular British pop band Steps – performing on Thursday, Friday and Sunday, while US-born Thai DJ CaucAsian stars on the main waterfront stage on Saturday. “We are proud of the diversity of the displays at the show. There is something for everyone from marine accessories and products to boats ranging from small trailerable boats up to some stunning superyachts. There are also some fantastic lifestyle offerings onshore as well lots of family activities and live entertainment every day.” Last year’s show featured a high of almost 6,000 visitors from 22 countries, while Pattaya itself attracted a record 14 million visitors last year.